Airbus Defence and Space has announced the launch of the world’s first High Altitude Pseudo-Satellite (HAPS) flight base in Wyndham, Western Australia. The facility will serve as the base for the company’s Zephyr UAV. The Wyndham site was selected due to its largely unrestricted airspace and reliable weather, and is the result of significant investment by Airbus into its Zephyr program. 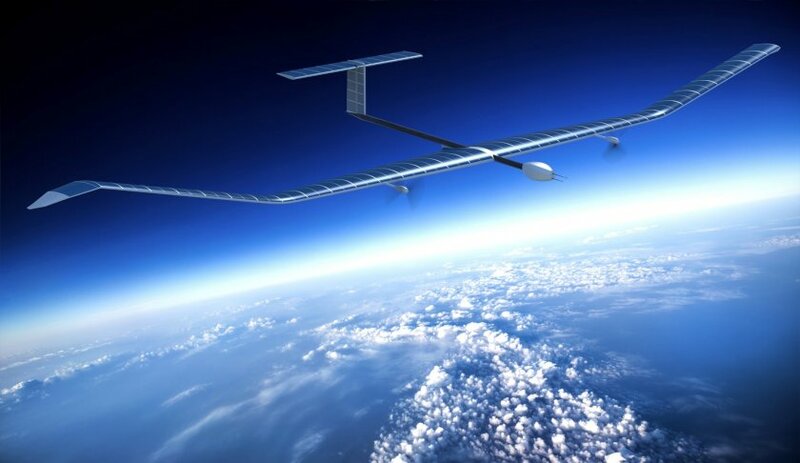 Zephyr is a HAPS, stratospheric, solar-electric unmanned aerial vehicle (UAV) and is the first aircraft of its kind to fly in the stratosphere. Zephyr harnesses the sun's rays, running exclusively on solar power. It is able to fly for months at a time, combining the persistence of a satellite with the flexibility of a UAV. Zephyr S: With an ability to carry payloads, offering voice, data communications both line of sight and beyond the line of sight, and line of sight high resolution optical imagery. Zephyr S has a wingspan of 25 metres and weighs less than 75 kilograms. It is able to carry see, sense and connect payloads. Zephyr T: Is capable of carrying larger payloads and offers the ability to bring more active payloads to the fore; for example, widespread, persistent internet coverage to remote areas of the globe, and active radar. The in-development, larger Zephyr T has a wingspan of 33 metres and weighs 140 kilograms. Its larger size enables it to accommodate payloads with larger masses. Jana Rosenmann, head of unmanned aerial systems at Airbus, said, "The official opening of the Airbus Wyndham launch site in Western Australia, the world’s first operational HAPS site, marks the start of a new era for Zephyr." The Zephyr platform is designed to run exclusively on solar power, above both the weather and conventional air traffic; filling a capability gap complementary to satellites, UAVs and manned aircraft to provide persistent local satellite-like services. "We are proud to see Australia become part of the Zephyr operational network. The site is our gateway to the stratosphere and will be the main flight base for Zephyr going forward," Rosenmann said. WA Premier Mark McGowan welcomed the Airbus announcement, saying, "I am delighted to welcome the Airbus team and their Zephyr project to Western Australia. This is the culmination of almost a year of hard work by Airbus and my government to bring this exciting and innovative technology to our state." The original target mission of the Zephyr is to provide local persistence at an affordable price with a re-usable solar-powered aircraft, providing a wide scope of applications, ranging, for example, from maritime surveillance and services, border patrol missions, communications, forest fire detection and monitoring, or navigation. "The Zephyr aircraft provides new capabilities to commercial and military customers and will bring an economic boost to the East Kimberley region," Premier McGowan said. Operating in the stratosphere at an average altitude of 70,000 feet/21 kilometres, the ultra-lightweight Zephyr has a wingspan of 25 metres and a weight of less than 75 kilograms, and flies above weather (clouds, jet streams) and above regular air traffic, covering local or regional footprints. Zephyr is ideally suited for 'local persistence' (intelligence, surveillance and reconnaissance), the Zephyr has the ability to stay focused on a specific area of interest (which can be hundreds of miles wide) while providing it with satellite-like communications and Earth observation services (with greater imagery granularity) over long periods of time without interruption.